More and more of us have wireless networks at home to connect not only computers, but smartphones, game consoles, TVs, even picture frames and DVD players. While setting up a wifi network at home has gotten pretty easy, there are still a few things that can make the difference between having a good network at home and a great network at home. Here are my five favorite tips for tuning your home wifi network so you can get more out of it. I know it’s seems a little much, especially as more and more devices are essentially plug-and-play, but knowing where the security settings are, how to set the channels, change frequencies, and switch settings around, comes in very, very handy. Okay wireless routers aren’t at the height of home decor, but they aren’t ugly so don’t hide them in some dark corner of the house! Try to put your router in the thick of things. Essentially, place your router in a central location where you use your computers. This is a little geekier, but basically if you have a lot of wifi networks around you, your router and devices might have a hard time “hearing” each other in the din. One solution is to use a tool like NetStumbler (PC) or iStumbler (Mac) to see how many networks are around and what channels they are using at set your router to use a channel that is either not in use or use a channel from the weakest signal around. This works great except for one little detail: lots of routers can auto-adjust the broadcast channel they use to adapt to interference. Right, which means that if you set your router to use channel 5 one day (ostensibly because it’s a clear and open channel), it might not be the next. So my advice is if your router has automatic channel switching available—use it. A lot of phones and monitors operate in the 2.4GHz band which is also the same band that 802.11g operates in. Some phones also work in the 802.11n 5GHz band too, but those seem to be able to manage keeping out of the way (I think it’s because of the way 802.11n antennas work). So, if you’re having issues with your 802.11g router, it could be your phone or a neighbor’s phone. Honestly it might be time to pick up a new 802.11n router on sale this Holiday season. Often that’s easier than trying to great 802.11g routers and cordless phones to play nice with each other. This is a cool trick that let’s you get a lot more performance out of your router, don’t make it use and transmit what it doesn’t need to! Let’s say you have a router than uses 802.11n (or an “N router”) and all the devices in your house can also connect using 802.11n (most newer laptops, game systems, and a lot of phones can), then you don’t need to broadcast 802.11g. Letting the router focus on a single band and protocol gives it an efficiency edge and it won’t have to (potentially) spread signal across several different frequencies. The last thing isn’t a “trick” but something that you should be doing anyway—turn on your router’s security to require a passcode to connect. Yes, turning on encryption (and use WPA or WPA2 and not WEP) does add some overhead to the signal that can degrade performance, however so can someone leeching off your network downloading tons of stuff. Putting on security means you know who is connecting to your network and keeps the bandwidth for you. Sharing is great for cookies, not so much for your Internet bandwidth. 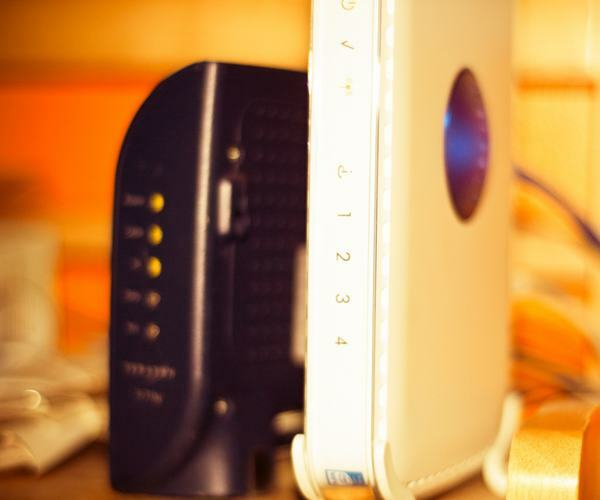 In reality though, starting with these 5 points is a great place to start at keeping your router running as fast as possible.